We have an exception for today's entry. As you could see is nothing related with Germanic culture or Celtic stuff. 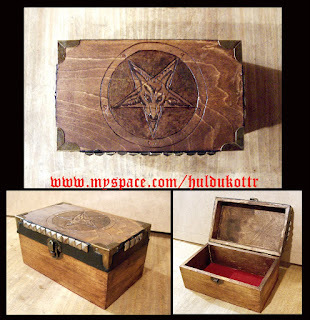 This is Baphomet's pentagram and it was a comission for a customer... anyway, despite we are not followers of Baphomet as such, we must recognize that he's one of the most famous rockstars in the whole world, isn't it?